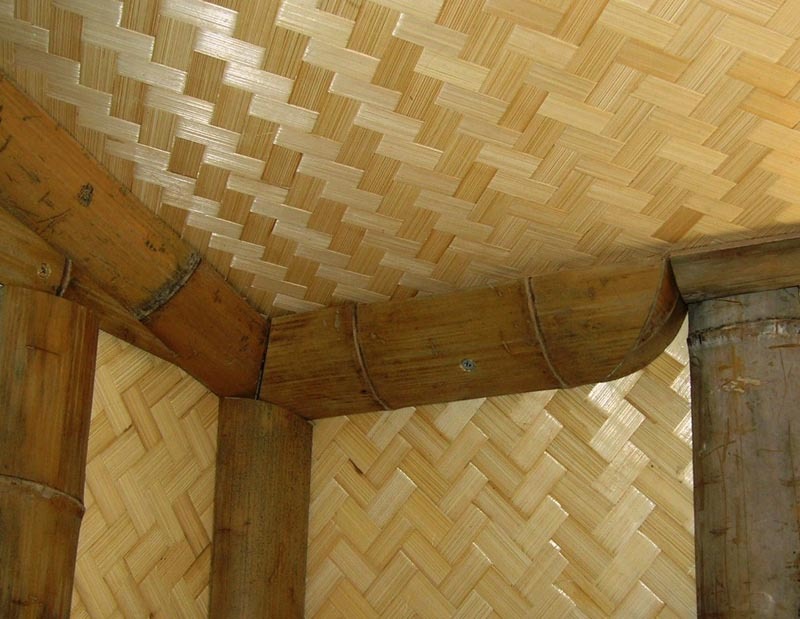 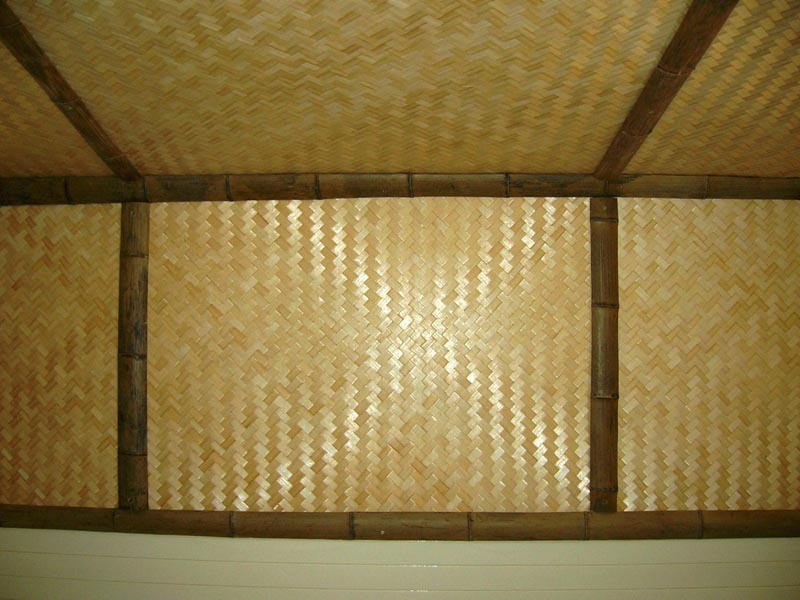 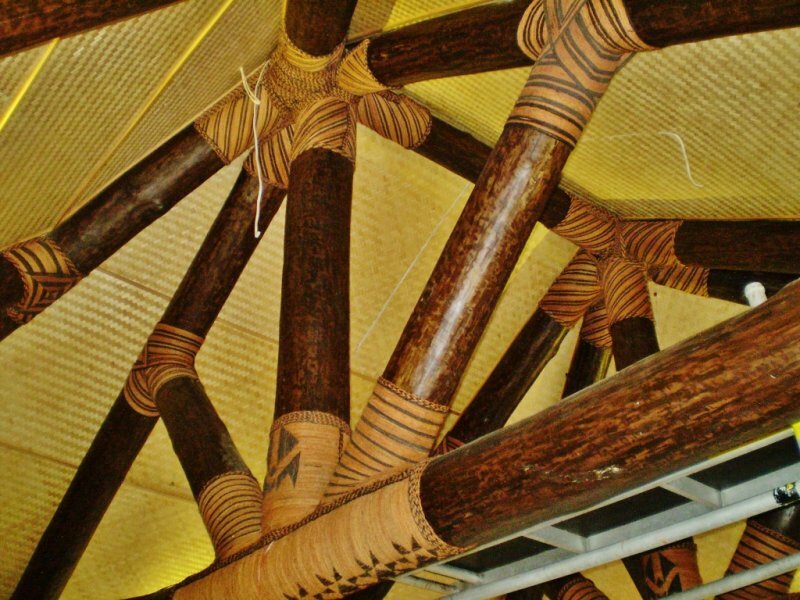 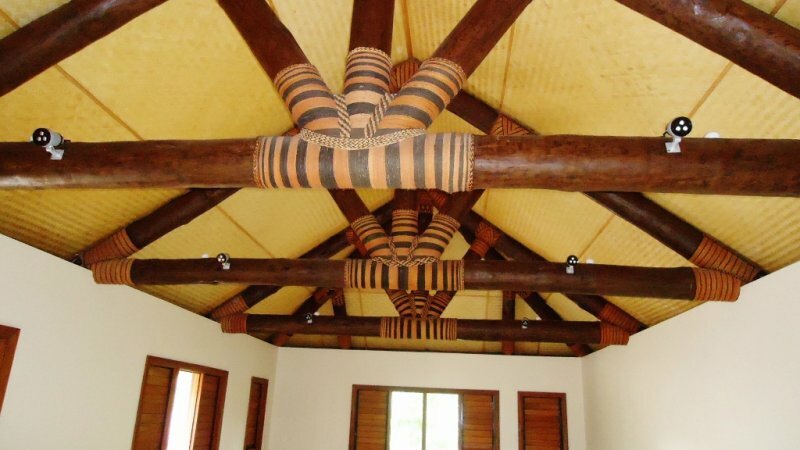 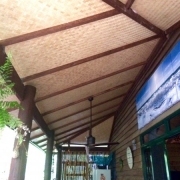 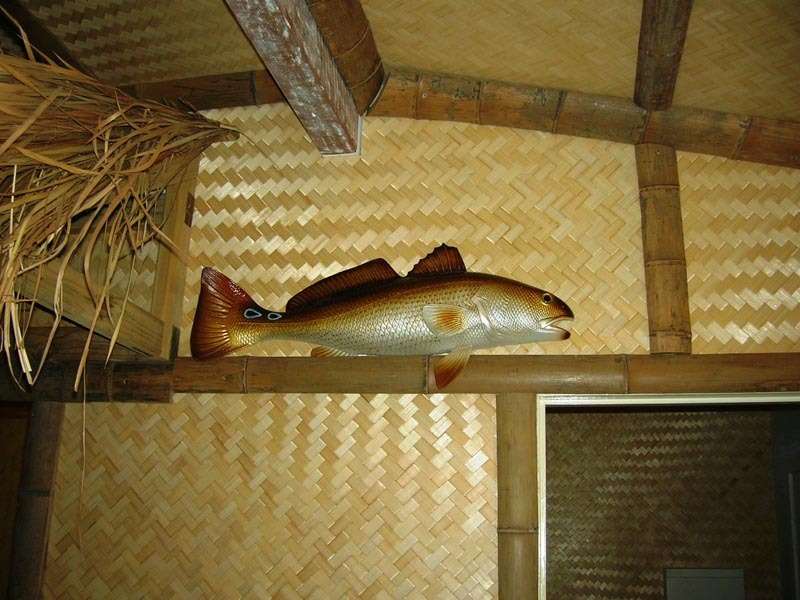 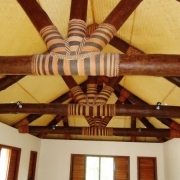 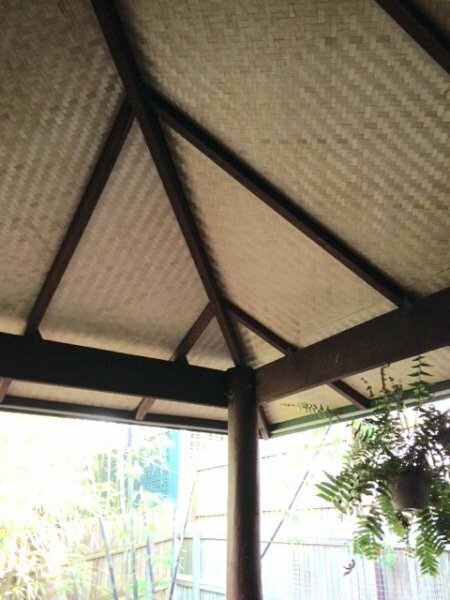 This is a beautiful product that is commonly used for walls and ceilings in residential homes, restaurants, bali huts, as well as an interior lining for boats, cars, buses and trucks. 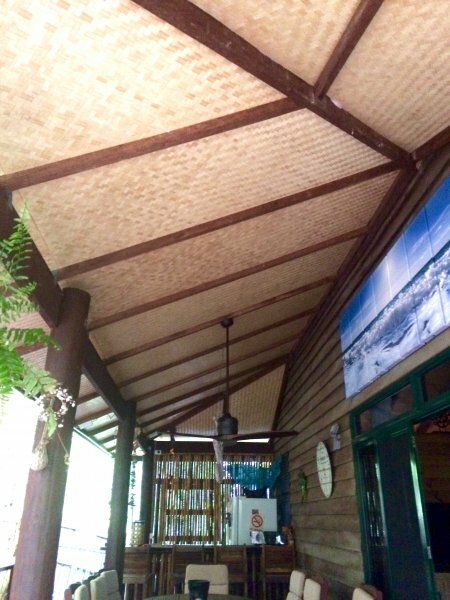 Thin strips of split bamboo are hand woven into flexible mats that are multi layered as a laminate to achieve a desired thickness. 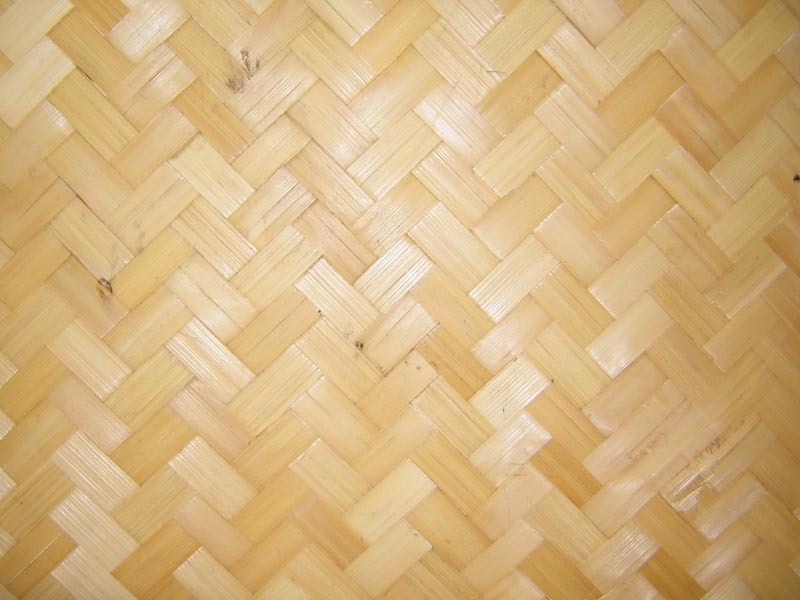 These are placed into a heated press that bonds the multiple layers together producing an extremely versatile board with multitudes of uses. 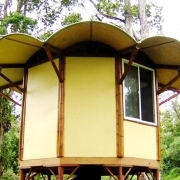 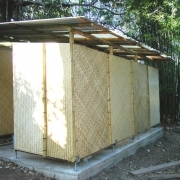 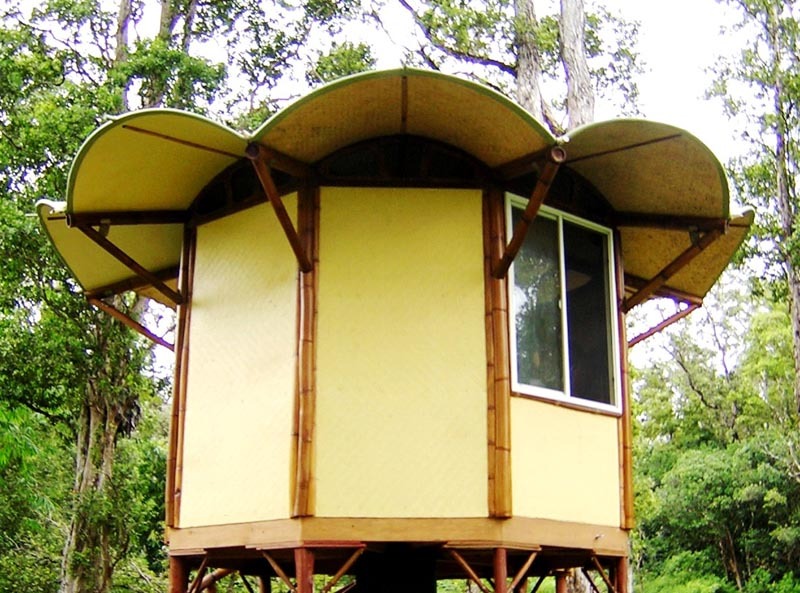 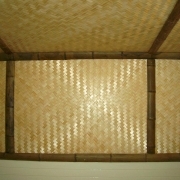 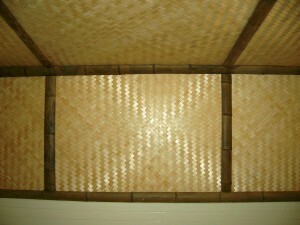 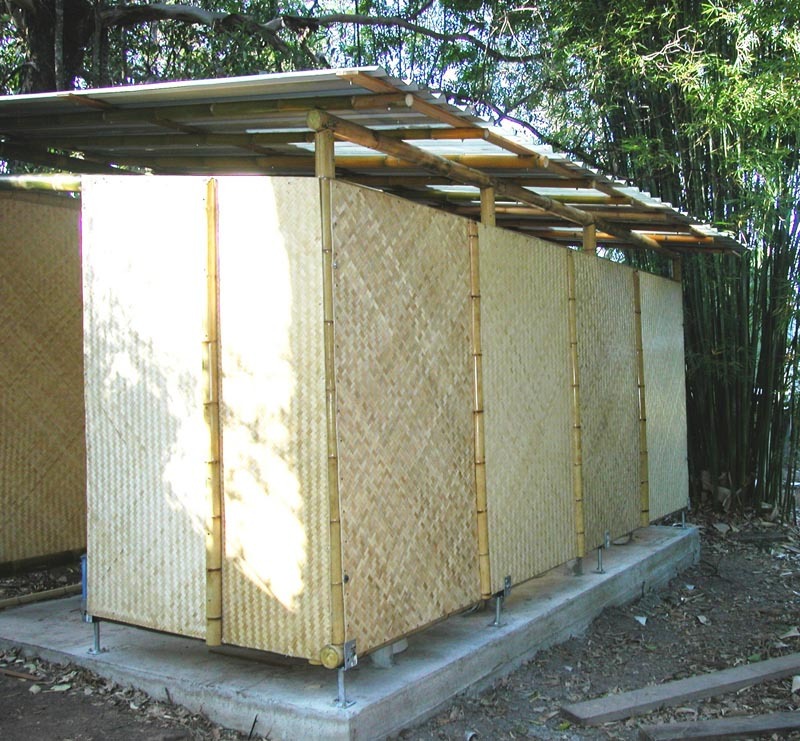 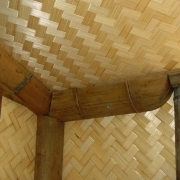 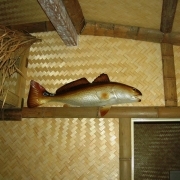 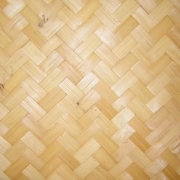 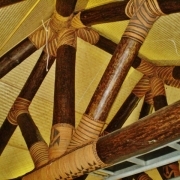 Bamboo woven ply is susceptible to fungal and insect attacks. 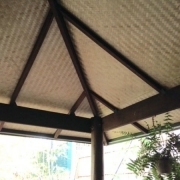 The sheets have to be clear coated with a product containing both a fungicide and insecticide before installation.